It’s hard to come up with meals my son will eat without saying “I’m done” about three bites in. He usually picks out only the stuff he wants to eat and ignores the rest. The above picture shows pre-packaged cooked chicken. I only used that because I have a coupon. I usually cook up one or two chicken breasts on my George Foreman grill. Store-bought rotisserie chicken would also be a good choice. I admit, this picture doesn’t make it look very appetizing, does it? This is one of the rare meals of which he’ll eat every bite … and ask for seconds! I love it because it’s super-easy to make and is easy to adjust to accommodate any extra vegetables you may have on hand. 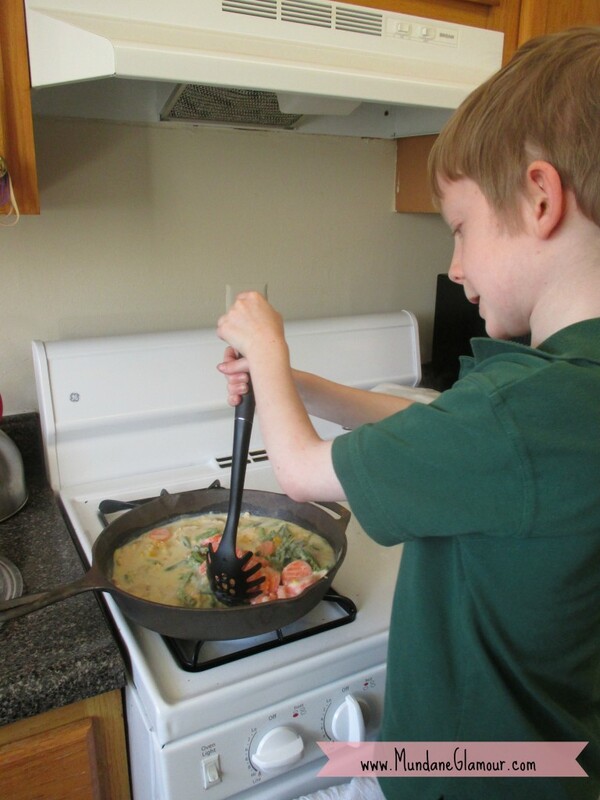 Of course, it always encourages him to eat more if I let him help in the kitchen! 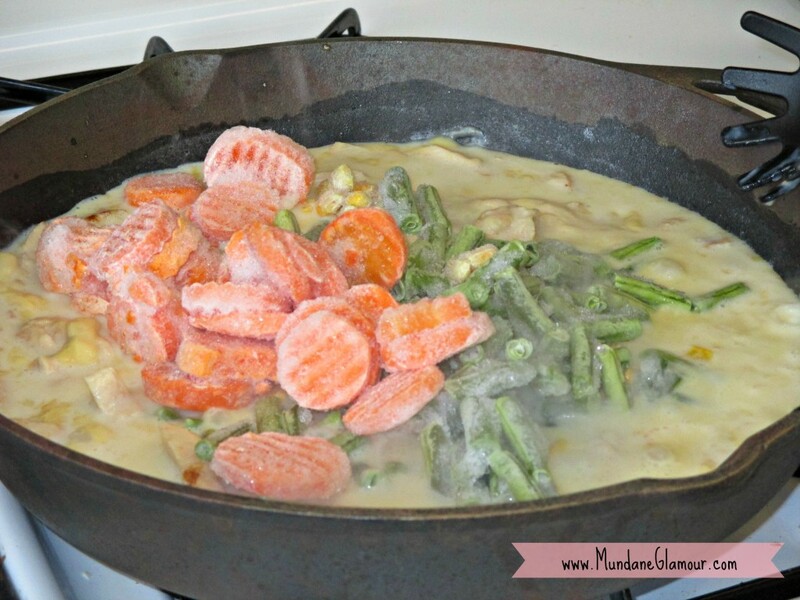 In a large saute pan, combine soup, milk, and frozen vegetables. 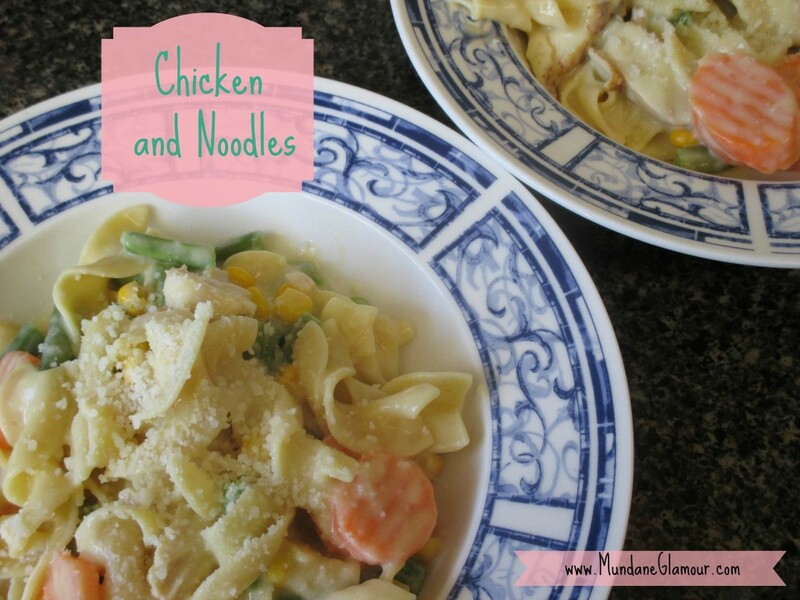 Add cooked chicken and noodles. Cover and cook for about 5 minutes, or until vegetables are cooked. I prefer to stir in the cheese near the end of the cooking time, although you can add it earlier. Sprinkle some more Parmesan on top and that's it! You're done! See why this is such a hit? Enjoy! 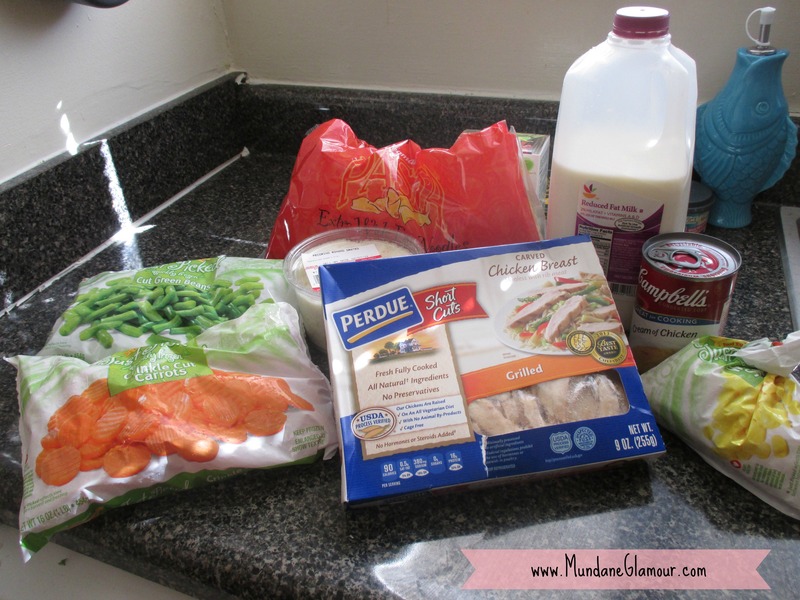 Feel free to add or delete fresh or frozen vegetables to suit your family's tastes. I think next time I'm going to try adding sun-dried tomatoes! Please let me know what your family thinks. 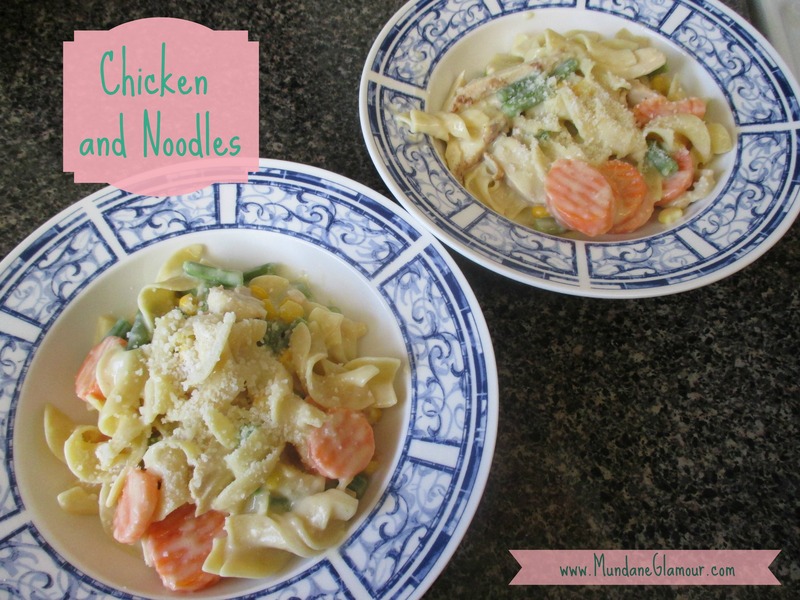 This entry was posted in Family Life and tagged food, recipe.